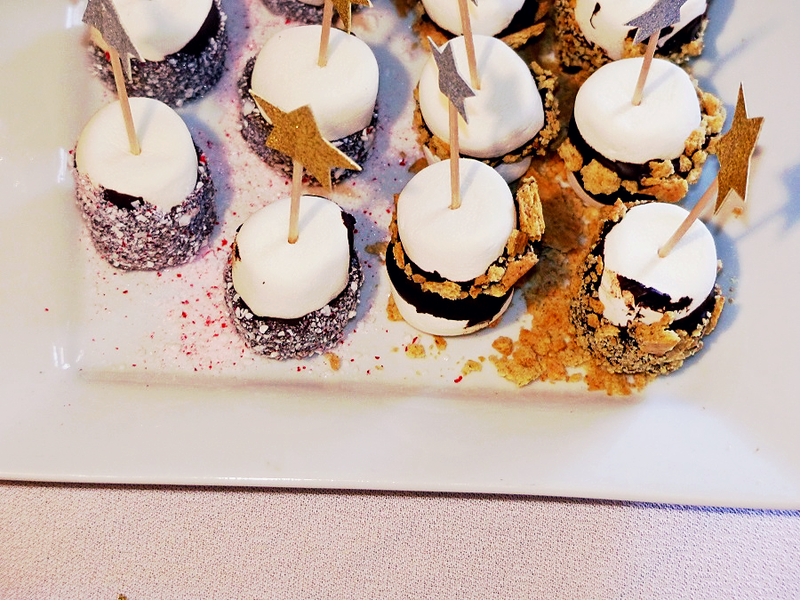 Holiday Cheers and Treats: 5 Minute Smores Bites! I’m sure by now you’ve been invited to many holiday gatherings and you are wondering, What should I bring! Whether you are the expert baker or the seasoned chef, we can all agree that the holidays can be a very stressful time. Between shopping and planning gatherings we sometimes forget to plan the most important part, the FOOD! Okay, the people are the most important part, but the food is a close second. This quick and easy marshmallow dessert is easy to make and just as tasty! 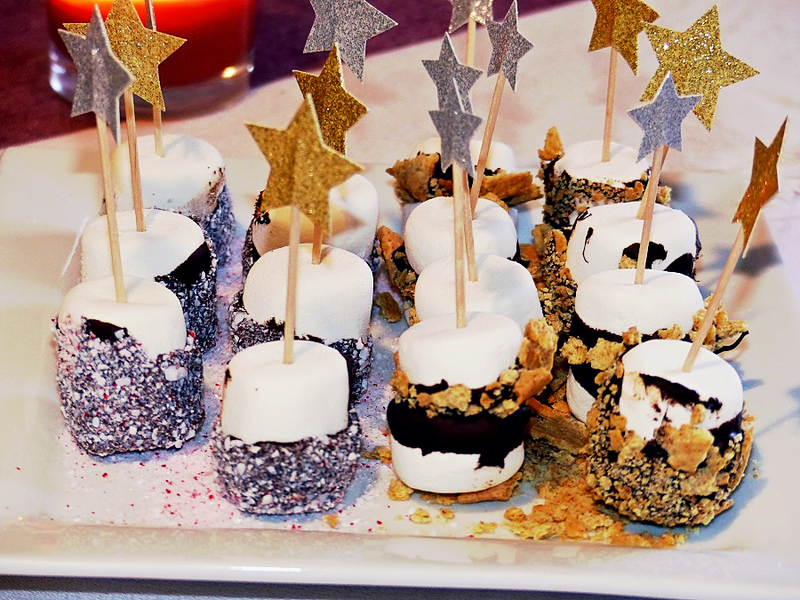 No it’s not gourmet but we can all agree that just about everybody loves smores and marshmallows. So don’t stress, show up with these sweet treats and everyone’s tongues will be wagging about how clever you are! In a small plastic measuring cup, melt 1/2 c . of chocolate chips in the microwave. Be sure to stir periodically to avoid burning. Take 10-12 marshmallows and cut them in half. You can cut half of them and leave half of them whole if you like too!! Take 2 -3 Graham crackers and crush them into small bits. Set in a pile on a plate or tray. Take one half of a marshmallow and skewer on a toothpick. These holiday themed picks from Top Shop are fun! Dip the skewered half in the melted chocolate. Then dip and roll in graham cracker crumbs until all the chocolate is covered. Take another half and dip in chocolate. Sandwich with the Graham cracker coated marshmallow pushing the skewer all the way through to to secure the second half. Place on wax paper to allow chocolate to harden and repeat! After all are done, place in refrigerator for 5 minutes to speed up the chocolate hardening process. If you want to mix it up, you can pulverize a few mints in the blender and use them to coat the marshmallows instead of the Graham crackers. Just as fun, festive, and tasty! If you love chocolate treats for the holidays, try my other recipe for a chocolate cranberry bark. It makes a great gift item too! 10 Ways to Get Energized Today!